Don't pay more than you should. Get a good understanding of the loan products available to lower the cost of borrowing more money. Many short-term loans and merchant cash advances are built for one time use, such as temporary cash flow needs or projects. If you have a current balance with one of these products and need additional funds, your provider will typically allow you to refinance or renew your funding - but at a potentially higher cost. Double dipping occurs when new interest is charged on new funds used to pay off old interest. This can occur when you refinance a short-term loan or cash advance. You may refinance for a number of different reasons, such as accessing more money or lowering your payments. When you refinance, the new loan funds are used by the provider to first pay off all principal and interest due under the contract even though the loan is paid off early. The new loan will charge you interest on the full amount borrowed, including the money used to pay off interest on the original loan. Let's use Nick as an example. Nick is a small business owner looking to make renovations to his shop. His business has been picking up, and it's more important than ever to be strategic with his money. Nick recently took out a fixed-rate, short-term loan. After paying down half the balance, he realizes he'll need more to complete the renovations, and he takes out a second loan from the same lender. Unfortunately this causes him to end up paying way more than he originally imagined due to double dipping. Nick took out a $20,000 fixed rate, short-term loan with a $4,000 interest cost for a total payback of $24,000 — a 20% finance charge. After a few months, Nick has paid his balance down halfway to bring it to $12,000. When Nick applies for a second loan with his lender, they offer him another $20,000 with $4,000 interest - so another 20% finance charge, right? The lender requires him to use $12,000 of the new loan to pay off his existing balance. After using $20,000 to pay off his $12,000 balance, he only receives the remaining $8,000 into his bank account. Nick paid $4,000 in finance charges to receive only $8,000 of new funds, effectively paying 50% in financing charges on his new funds. Between the two loans, he received a total of $28,000 to his bank account, and paid $8,000 in finance charges. This means the combined total interest on the two loans was 28.5%. Is Your Loan Subject to Double Dipping? Loans that are subject to doubling dipping may offer lower interest rates to borrowers on the first deal and can be the right choice for borrowers who just need a one-time source of financing. However, if you think you may need additional funds or would like to lower your payment before your first loan is paid in full, consider taking a product that does not double dip, like our FlexFund product or our Small Business Loan. Lenders who double dip should be explicit with you about this before you agree to your first loan or advance. Understanding your financing options and the potential costs to you is key to choosing the right funding for your business. 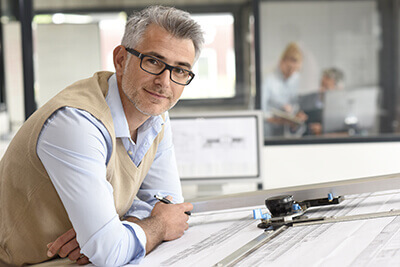 Since 2007, The Business Backer has offered customized business funding solutions and worked with business owners to find the best financing options available. Whether it's a large-scale project or ongoing capital requirements, we can help determine the financing options that fit your business's goals. Our fast and simple application process allows customers to receive funds in as little as 24 hours. Apply now or speak to a Funding Advisor today!